It is no big secret that I love musical theatre most ardently. I am yet to find a single theatre to film adaptation that I don’t love (Mamma Mia was cinema gold, don’t deny it) and I always embrace the transition from stage to screen. But there was something about Into the Woods that made me wish I was in a theatre rather than the cinema. The cast is outstanding with James Cordon really showing his star potential and Meryl Streep could make any film look good, so that wasn’t the problem. And the score was unbelievable, it was fairytale-esque and fraught with suspense at all the right moments and the singing wasn’t bad either. But any time the orchestra was giving it laldy I thought about how much more this musical could be if it was on the stage with a real, live orchestra not a recording. The scenery was great, lots of woods and castles etc. but I got the impression that there could’ve been two cardboard cut-outs of trees on a stage and it still would have worked better than the film version. Some musicals work so well as films, Les Misèrables for example, which naturally lent itself to the big screen. 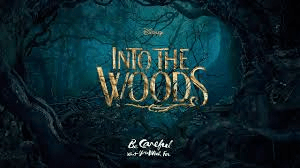 But with Into The Woods the intimacy and the relationship with the audience was missing. Yes there were a few candid looks to the camera – “Hello audience, we see you!” but it simply wasn’t enough. As I’ve said the whole cast was superb and it was nice to see Gavroche (Daniel Huttlestone) from Les Mis a bit more grown-up and still finding work as Jack. The stand-out performance for me though was Chris Pine as Prince Charming. His performance was so self-aware with his potent line “I was raised to be Charming, not Sincere” really making you question the fairy tales you grew up dreaming about. The best moment in the whole film was the musical number between Prince Charming and his brother. Pine was absolutely captivating with his dramatic air grabs, shirt rips and groin thrusts. I honestly can’t understand why he isn’t up for an Oscar for this role. Meryl Streep is up for Best Supporting Actress at the Oscars for her role as the witch and she deserves it because she is Meryl Streep and her performance is fabulous, but is there anything she isn’t fabulous in? It is also up for best costume design but its competing against Maleficent which took the fairy-tale costuming to a level that was lacking in Into the Woods so I’m betting on Colleen Atwood missing out on this one. Most surprisingly, Into the Woods hasn’t received a single nomination in any of the music/sounds categories which really took me by surprise as aside from the cast, the music is one of the best things about the films considering that it is, of course, a musical. Posted in Arts and tagged disney, film, film review, into the woods, movie, movie review. Bookmark the permalink. Exams: Do we really need them?